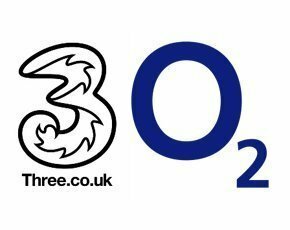 The news that Hutchison Whampoa, the multibillion-dollar, Hong Kong-based industrial conglomerate behind UK mobile network operator Three, has entered into exclusive talks to buy O2, has not come as a surprise. After all, speculation had been mounting ever since a well-timed leak last year linked Hutchison Whampoa to a potential acquisition of EE or O2, which at the time were both the subject of takeover talks with BT. It would appear that, spurred on by BT’s decision to buy EE rather than O2, O2’s Spanish owner Telefónica has decided, in spite of O2’s boss openly rubbishing the idea, to cut and run. Telefónica’s debt problems and desire to be shot of a non-core business in a non-core market are well-documented reasons for the sale. And Hutchison Whampoa's billionaire owner Li Ka-Shing's desire to expand his business empire in Europe is no secret either. BT’s ongoing acquisition of EE was all about quad-play – that is, delivering a landline, mobile, broadband and TV service to customers. However, the purchase of O2 will not bring Hutchison Whampoa any real strength in that area; O2 has no pay TV business, and it sold its broadband base to Sky in 2013. For its £10.25bn – £9bn initially and £1.25bn (depending on turnover) later – it is only getting a mobile operator. According to Gartner analyst Charlotte Patrick, the acquisition falls into a slightly different category. She explained: “Part of the opportunity for O2 and Telefónica was for Telefónica to use them to learn from, and bring business processes, expertise and new ideas into Telefónica. Would Three benefit from that? I’m not sure it’s so marked, but maybe. Patrick suggests that had either operator wanted to become a quad-play player, it would have been better off shacking up with somebody like TalkTalk or Liberty Global, the cable conglomerate that now owns Virgin Media. Mark Windle, marketing head at communications software provider OpenCloud, said that the merger shows how traditional telcos are still seeking out opportunities to horizontally integrate across networks. “Such integration of access networks provides a key opportunity to accelerate the decoupling of their service and access divisions,” said Windle. Jennifer Kyriakakis, founder and marketing VP at billing and analytics supplier Matrixx Software, described the new breed of operator as a digital service provider, or DSP, a new generation of mobile provider that has moved on from core comms to broadband, services and even over the top (OTT) apps sold from the device. “This is an interesting time for the industry and we will see more and more CSPs make the leap from being network-centric organisations to customer-centric businesses in the DSP mould. Imran Choudhary, consumer insight director at Kantar Worldpanel, said the new entity would put considerable pressure on Vodafone, which will now become the smallest UK mobile network operator, to form similar partnerships or risk being dominated. He said that should the BT and EE quad-play deal work out well, another acquisition from Three and O2 could be expected because it currently has no pay TV or broadband offer to compete. The consolidation of the UK mobile market into three players will mean that in the space of just a few years consumers have seen their choice of operations shrink from five – O2, Orange, Three, T-Mobile and Vodafone – to three – EE, O2-Three and Vodafone. This fundamental shift could result to changes in contract pricing, according to Choudhary. “In the short term this could lead to value-for-money propositions and impressive deals as the new providers compete for market share,” he predicted. However, the long-term consumer position is less rosy, he said, as the incentive to differentiate on price and perks wanes for a captive user base with fewer alternatives; ultimately, prices may rise. Patrick at Gartner disagreed. She said three operators would probably be enough to guarantee that prices remain reasonably competitive. Significant price rises on existing contracts could therefore be customer service suicide. The potential for making more money, suggested Patrick, comes from upselling new services and, in particular, 4G contracts. The brand that the new entity presents to the market will also need to be carefully thought through. When Orange and T-Mobile got together, public reaction to their decision to brand as Everything Everywhere, later shortened to EE, verged on baffled amusement. Whether the inevitable focus group decides on something completely new, or a portmanteau along the lines of 23 or OThree is of course, an unknown unknown for now.